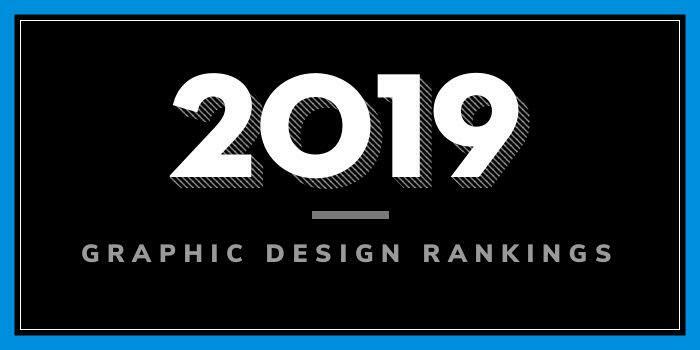 Our 2019 rankings of the top 5 graphic design school programs in Oklahoma. For an explanation of the ranking criteria, click here. Oklahoma State University (OSU) was established on Christmas Day 1890. The school serves around 34,650 students from 100+ countries and all 50 states, enrolled in over 200 programs across a five-campus system and 10 colleges. The College of Arts and Sciences houses the Department of Art, Graphic Design and Art History, which offers a BFA in Art with a Graphic Design Option and an MFA in Graphic Design. The BFA program begins with a foundation in visual communication, which allows students to develop skills in a variety of areas and media. Per the school, “these skills are developed during instruction in traditional media, printing processes, and the use of industry-standard software; then applied to more difficult media such as in motion and interaction.” Sample courses for the program include Digital Design, Drawing, Graphic Design, Interaction Design, Motion Design, Photography, Printmaking, Studio Art, Typography, Visual Thinking: Form & Space, and Visual Thinking: Image & Surface. Students will also take Graphic Design, Interaction Design, and Motion Design Studios. An internship is also part of the program. The students graduating portfolio work will include “a variety of media from graphic design, motion design, and interaction design, such as posters, billboards, branding, logo and symbol design, website design, app design, television and film graphics.” With a “vast range of design work,” the program prepares students to pursue careers in Graphic Design and Advertising, or continue their education in Fine Arts MFA programs across the nation. Recent graduates have been hired at Matchfire, Oklahoma Visual Arts Coalition, Masterwork Artistry, the Museum of East Texas, and many others. The OSU MFA is “the only graduate program specializing in a unique combination of Interaction Design, Motion Design and Visual Communication in Oklahoma and in any other Higher Education Institution in the region.” The program is a three-year, sixty credit hour, and terminal degree that the school says, “will develop students’ expertise as graphic designers in Interaction Design and Motion Design, while developing their research, presentation and writing skills.” Sample courses include Graphic Design, Motion Design, and Interaction Design Graduate Studio, Teaching Practicum, and Graduate Seminar. A thesis and off-campus summer internship are also part of the program. Founded in 1890, the University of Central Oklahoma (UCO) serves more than 16,000 students enrolled in 121 undergraduate areas of study and 74 graduate programs from its main campus in Edmond and facilities throughout the metro area. 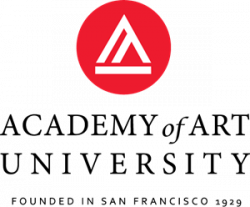 Programs are offered through seven colleges, including the College of Fine Arts and Design (CFAD), which houses house six academic departments: The Academy of Contemporary Music (ACM), Art, Dance, Design, Theatre Arts and the School of Music. The Department of Design offers a BFA and a Minor in Graphic Design and an MFA in Art. The BFA program consists of 124 credit hours of study including the University Core, Graphic Design requirements, and Design Electives. The Major includes three areas: Design Foundation, Graphic Design, and Professional Preparation. Course highlights include Advertising Design, Computer Graphics I-IV, Design Foundations I-IV, Graphic Design Practice, History of Graphic Design I-III, Illustration I-III, Information Graphics, Package Design, Prepress Production, and Typography. Unique electives and professional preparation courses include Advanced Bookmaking, Advanced Letterpress, Bookmaking & Prototyping, ClockTower Studio, Design Entrepreneurship, Environmental Illustration, Ink Tank, and Study Tour in Design. Portfolio Development and a Design Apprenticeship are also offered. The MFA is designed for students who are interested in design education, research, and proficiency. The 60 credit hour program includes heavy graphic design coursework. Sample courses include Computer Graphics Studio, Design Studio I-III, History of Graphic Design I-III, Illustration Studio, and Typography Studio. The UCO MFA is a terminal degree. Founded in 1909, Southeastern Oklahoma State University (SE) serves nearly 4,500 students enrolled in more than 90 programs through dozens of departments. The Art, Communication and Theater Department offers a BA in Graphic Design that consists of 44 semester hours of general education courses and 54 semesters in the major. Sample courses for the program include Advertising Copyrighting and Design, 2D and 3D Design, Color Theory, Comic Book Art and American Culture, Digital Imaging, Digital Photography, Drawing, Graphic Layout, Printmaking, Typography, Vector Graphics, and Web Page Design. Students will also have the opportunity to complete Communication Campaigns and Case Studies, Video Production, Directed Reading, and an optional Internship. Founded in 1901, Southwestern Oklahoma State University (SWOSU) serves nearly 5,300 students from 75 of 77 counties in Oklahoma, 34 states in the U.S., and 34 different countries. Programs are offered through seven colleges and schools, including the College of Arts and Sciences, the College of Professional and Graduate Studies, the College of Pharmacy, the College of Associate and Applied Programs, the School of Behavioral Sciences & Education, Everett Dobson School of Business & Technology, and the School of Nursing & Allied Health Sciences. Graduates of the BFA program may seek employment on the creative staffs of advertising agencies, design studios, publishing houses or corporate communications departments in entry-level positions such as graphic designer, production artist for a design staff, or as junior art director and more. Founded in 1909, Northeastern State University (NSU) serves nearly 5,400 students across three campuses in Tahlequah, Muskogee, and Broken Arrow, OK. Programs are offered through seven colleges, several schools, and dozens of departments. The School of Visual and Performing Arts houses the Department of Art, which offers an Art Major/Minor with a Graphic Design Emphasis. The program includes 46 hours of academic work in General Education, 33 in the Art Core, and 33 hours in Graphic Design. The Graphic Design Sequence includes Computer Applications in Art, Graphic Design I-II, Illustration, Identity Systems, Typography, Photoshop, Publication Design, Advertising Campaign, Web Graphics I and Portfolio. Other course highlights include 2D Design, Color, Drawing, Figure Drawing, Painting, and Watercolor. Career opportunities for graduates of the NSU Art/Graphic Design Program include Advertising, Art Director, Cartoonist, Commercial Designer, Exhibit Designer, Graphic Designer, Illustrator, Multimedia Artist, Package Designer, Set Designer, Technical Illustrator, Toy Designer, Web Art Director, and many others.